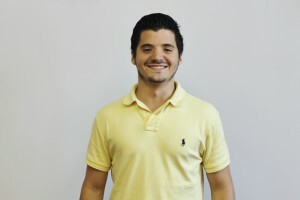 Goonzalo Barreto has been participating in EC Montreal’s English Intensive Programme since May. His last day at EC is rapidly approaching and we will be so sad to see him go. Today, Gonzalo gave a presentation as part of EC Montreal’s Student Lecture Series. 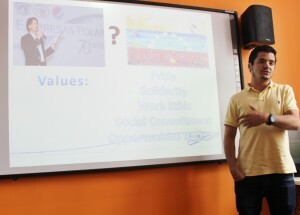 He presented on his admiration for a company in Venezuela called Polar. He explained that in a time of such turmoil in Venezuela, there is a need for companies like Polar who have strong values and demonstrate corporate social responsibility towards their employees and their community. My experience in EC has been one of the best in my life. The city is amazing with a lot of parks and sculptures around, which makes Montreal very interesting city and also a little paradise for me. The school is awesome, since the first day the people have been very friendly. I made a lot of friends here., the teachers and the staff are great, also very kind and nice. I have been improving my English a lot, the methods that the teachers use are dynamic and very good I have to say. Also every Wednesday they create a little festival in school to share and eat something. You can make a lot of new friends in there, for real.